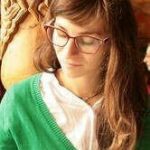 How can printing save the planet? These companies think 3D Printed coral reef can rejuvenate dying reefs and keep the ocean beautiful. Coral reefs have been in danger of dying out because of global warming for some time. 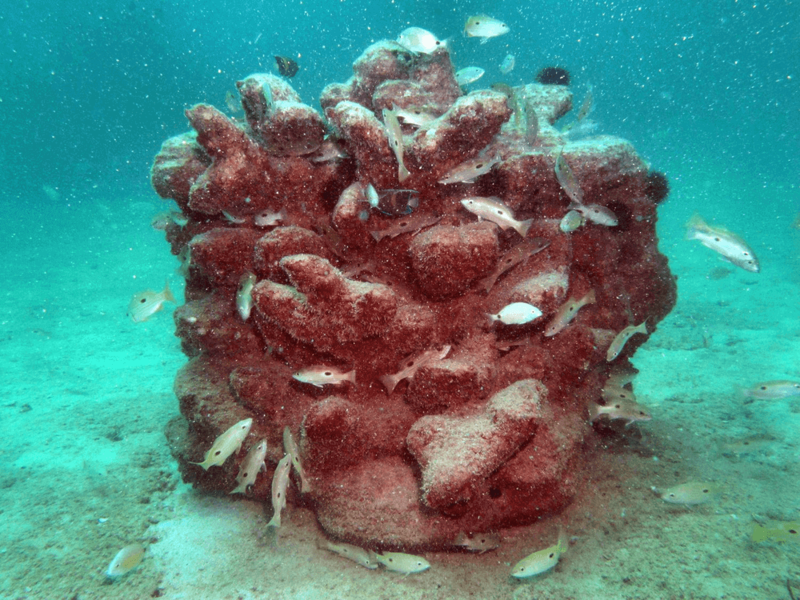 But now that several companies and even artists are utilizing 3D printing, a 3D printed coral reef may not only be on the table, it may help actually save the reefs. Coral bleaching happens when coral becomes stressed and ejects algae. They not only turn white, it’s incredibly dangerous for the coral, who could die as a result. Given just how much coral is out there — and the situation is only escalating — this is a crisis of pretty large proportions. 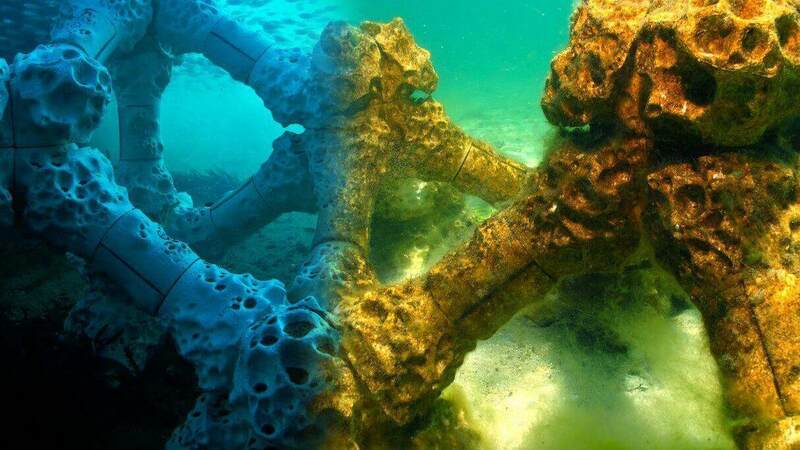 Humans are already creating artificial reefs out of ships and concrete blocks, allowing coral to make its home inside. 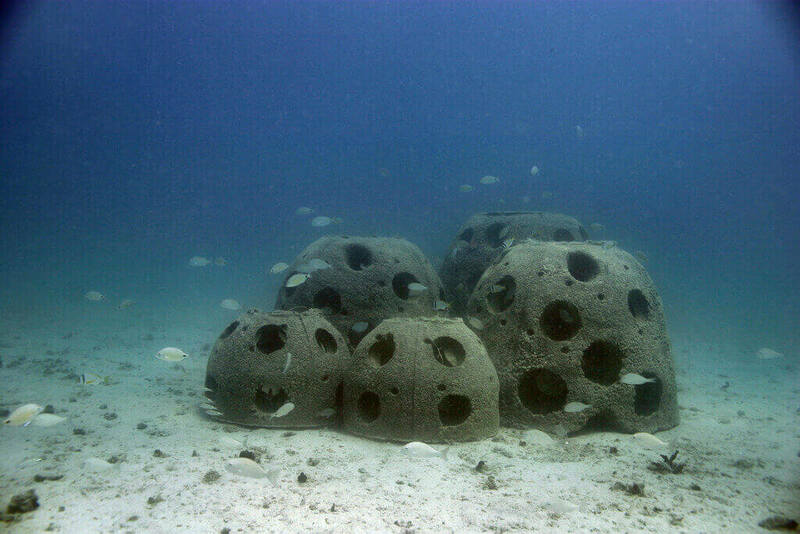 But the ultimate customizability of 3D printing — no surprise — makes creating better reefs a lot easier. Several teams have already gotten started printing coral reefs. Reef Arabia and Boskalis have worked to manufacture more convincing reef. Their pastel-colored sandstone reefs share the same texture of coral. Moreover, the neutral pH of sandstone makes it a much better location for baby coral polyps. An upcoming project from Reef Design Lab adds a layer of porcelain coating to the mix. This tiny addition makes the chemical makeup more similar to coral. There’s another crisis for coral reefs: acidity. Carbon pollution is slowly turning the oceans more acidic. What this means for coral is a much tougher time absorbing the necessary calcium. Nell Bennett from the Royal College of Art had an idea other companies hadn’t yet dreamed up. 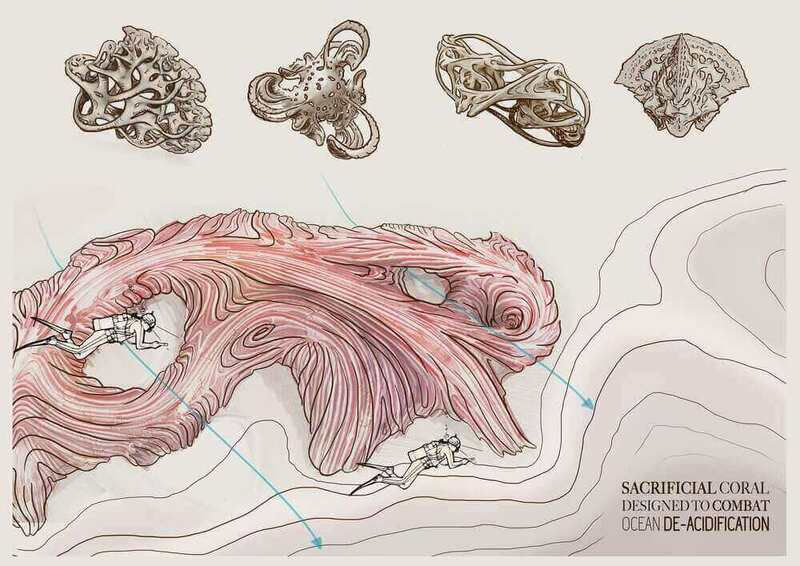 Her 3D printed coral was made from calcium carbonate. That meant, when placed in a reef, the coral would slowly dissolve to turn the surrounding water less acidic. The fact that several startups are making 3D printed coral reefs, and doing so in incredibly different ways, says a lot for the future of printing for the environment. More importantly, there’s no doubt that even more thinkers and makers will come up with incredible new ideas to help further protect coral reefs. License: The text of "3D Printed Coral Reef Could Save the Oceans" by All3DP is licensed under a Creative Commons Attribution 4.0 International License.